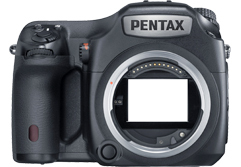 Pentax have launched the 645Z medium-format digital SLR, featuring a new 51.4Mp CMOS sensor. Priced at £7,699, including a 55mm f/2.8 lens, it doesn’t cost much more than some pro 35mm DSLRs, but does it offer significant benefits? We preview the new Pentax 645Z and look back at Sensor Scores from its predecessor the 645D to help us decide.